D.H. Lawrence. Beinecke Rare Book & Manuscript Library, Yale University. I recently stumbled upon a short collection of poems by D.H. Lawrence when I went to Syracuse University’s Bird Library to borrow his famous novel Lady Chatterley’s Lover. Amid the works penned by Lawrence, I found the slim volume of verse and pulled it off the shelf. I thought the worn book might disintegrate as I held it in my hands and turned the pages, and with an original copyright of 1918, its title amused me: New Poems by D.H. Lawrence. The last stamp on the checkout slip is dated December of 1999, so it appears no one else has picked up the book in nearly 20 years. Lawrence’s poems display sophisticated language with an “Old English” quality to them, and as I read the book, I had to stop several times to write down words that I would later look up on Dictionary.com. Many of the poems were short and possessed a timelessness, as they focused on nature and emotions, which cannot be bracketed by date or era. Will give thee what I have, this last week’s earnings. And wed me, to ease my yearnings. Thou shalt shut doors on me. These final two poems are ideal for summer reading, and I needed to look up the definitions of the two “p” words that stand out in the verses—primula and palimpsest. According to Dictionary.com, primula is a primrose, while palimpsest is a noun, meaning “a parchment or the like from which writing has been partially or completely erased to make room for another text.” The reference to twilight as a palimpsest suggests night overtaking day. In the window, his body black fur, and the sound of him cross. Of the impending bee—they were fair enough sights. Lawrence, D.H. (David Herbert), New Poems. London: Martin Seeker, 1918. Just a quick post to share some information about my latest poetry book, Sidewalk Stories, published by Kelsay Books. I have set up two giveaways: one on Amazon and one on Goodreads. No purchase is necessary. Best of luck if you decide to enter! I recently finished reading Thomas Wolfe’s paperweight of a book You Can’t Go Home Again. 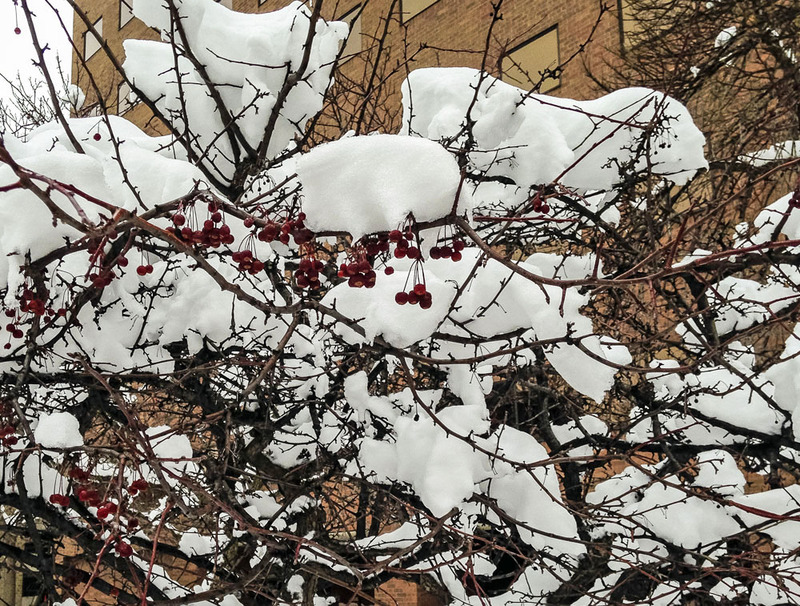 The autobiographical novel, published in 1940, two years after Wolfe’s death in 1938, gets bogged down with scenes that could have been edited out with no loss of narrative structure. However, I enjoyed embarking on a journey of self-discovery with the protagonist, a lonely young writer named George Webber, who pens a famous novel about his hometown, Libya Hill (a fictional setting that could be considered a stand-in for Wolfe’s native Asheville, North Carolina), and then is reviled by his friends and neighbors because the book uncovers the dark secrets of the town. And although I found myself skipping over sections of the book—descriptions and digressions that slowed down the story—Wolfe’s lyrical voice and ability to construct stunning passages of prose can make a reader stop skimming pages and pay attention to each sentence. Here are some beautiful paragraphs where Wolfe seemed to capture some central truths about life and humanity. Wolfe, Thomas. You Can’t Go Home Again. New York: Scribner (A Division of Simon and Schuster, Inc.), 2011 (first published in 1940). Print. I finished reading two books recently by two female poets from the past. I had always wanted to read something by the 20th century writer Dorothy Parker, so I took out The Portable Dorothy Parker from the library. At the same time, I was reading Poems by Emily Dickinson, Three Series, Complete using the Kindle app on my iPad mini. Parker, a member of the famed Algonquin Round Table, a group of writers who met at the Algonquin Hotel in New York City in the 1920s, was noted for her acerbic wit, cosmopolitan-themed short stories that rely on dialogue to carry the plot and poetry punctuated by both humor and pathos. The Portable Dorothy Parker serves as a good introduction to the author’s work, as it contains a mix of poems, short stories, book reviews and theater criticism. The stories feel dated to the time period Parker lived, but two stories, Big Blonde and A Telephone Call, are worth checking out. I also felt a pang of sadness when reading this line in Parker’s New York Times obituary: “Miss Parker left no survivors.” No human survivors—but she did leave behind a lot of written material to explore. In both collections, Parker and Dickinson give us little gems in verse form focusing on weighty themes like life, death and love, along with observations on a myriad of other subjects. These brief poems—gleaming verbal diamonds—carry an authentic voice and pack emotional truth, and both women knew how to play with language in such a way as to delight readers. I picked through both volumes and selected some short poems worth sharing. They can be consumed in small bites, such as while riding public transportation or waiting in the grocery store checkout aisle. And wait the unfailing gray. I’ll not be left in sorrow. Go take your damned tomorrow! And all my thoughts are cool as rain. And reach my hand to yours, my dear . . . I wonder what it’s like in Spain. Before they laid them down. And lastly, the following is one of my all-time favorite poems (right up there with Paul Laurence Dunbar’s We Wear the Mask and Richard Cory by Edwin Arlington Robinson), and Parker’s piece could be considered a companion poem or a bookend to Langston Hughes’ Suicide’s Note. Parker, Dorothy. The Portable Dorothy Parker (Revised and Enlarged Edition). New York: Penguin Books, 1976. Print. Then there’s a pair of us—don’t tell! Dickinson, Emily. Poems by Emily Dickinson, Three Series, Complete. Kindle Edition. I discovered a gem of a short poetry book while roaming through Syracuse University’s Bird Library in search of a Nick Hornby novel (which I was unable to find). 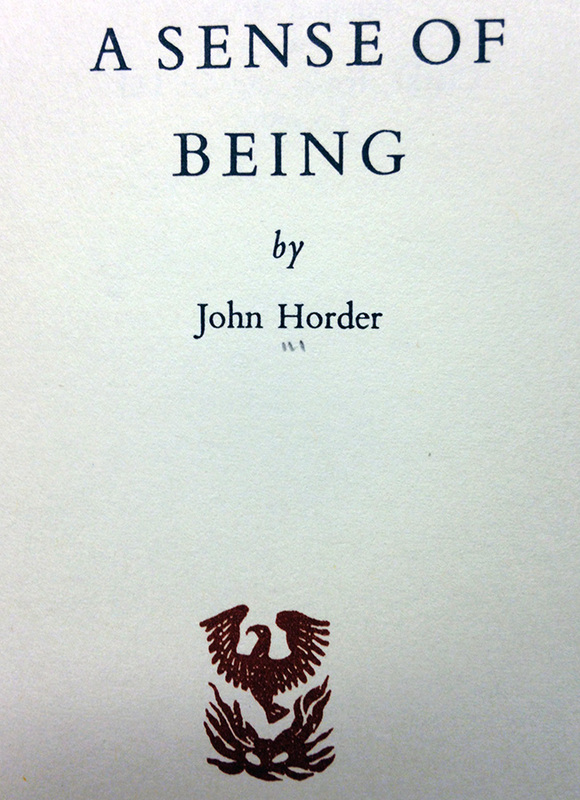 The book, A Sense of Being by John Horder, was published in 1968 as part of the Phoenix Living Poet Series. The book runs 40 pages and I was able to read the entire work during my lunch hour. A Sense of Being by John Horder. I couldn’t find any biographical information about Horder online, but I consider his spare, philosophical poems very moving. They made me stop and reflect on my own life and ponder the points Horder raised in his text. And that to me seems like the purpose of good poetry—to remind the reader that time is passing and our existence is fleeting. Here are a few of my favorite selections from the book. There is nothing in me to assure me of my being. Nothing to do with the fear of it stopping. That actually works. Something that lives and breathes. Something that has a sense of its own being. And I’ve always been told I was imaginative by nature. Imagine: a tree has roots: it knows where it springs from. Something vital in each of them has been wiped out. Just like that. Nothing as simple as that. Or not to be, as the case may be. Whether he is, or is not. My name in The Times Literary Supplement. And I felt no thing substantially. And the present moment held no sway. The bottom had been kicked away from everything. That one day I might eventually become something. And I found myself cut off from everyone. And that was when my sense of self began. From the psychic forces that are deep down within. We do anything rather than reckon with them. Upon the telephone, in order to try exorcise them. then wear our selves thin. We cram our lives full to the brim with work. We come home late, too tired even to speak to our wives. And still these forces won’t leave us alone. Still they will never allow us a moment of rest. Still we give them no real means of expression. We don’t reckon with these forces. Unless we turn them to the good. Horder, John. A Sense of Being. Phoenix Living Poet Series. London: Chatto & Windus/The Hogarth Press, 1968. Print. 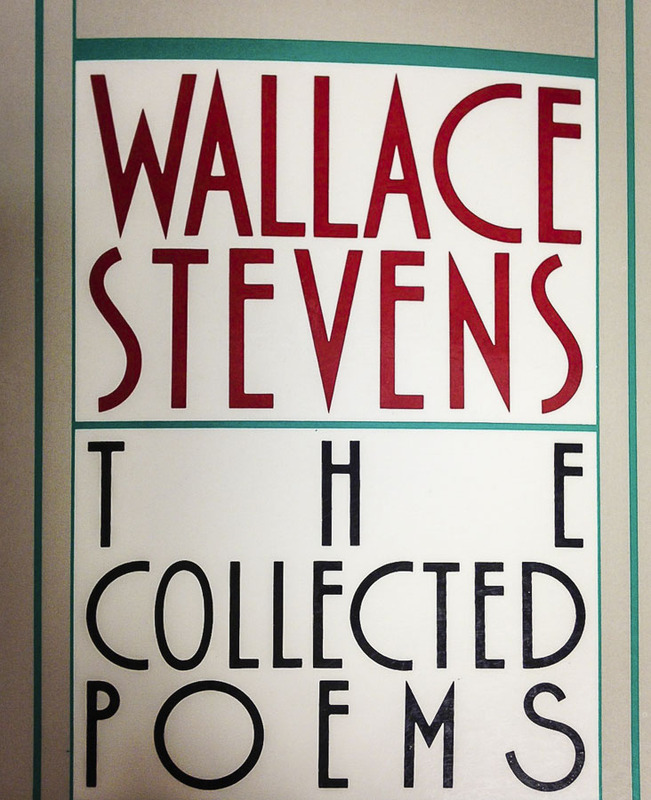 Sometime around Christmas I bought a used paperback copy of The Collected Poems of Wallace Stevens at a book fare in the mall. The Collected Poems of Wallace Stevens. I have too many unread books still kicking around the house, but I thought 534 pages of verse for only a dollar was too good a deal to pass up. I’ve read some of Wallace’s work before and found him to be a challenging read because of his vocabulary and his precision with language. But I think he’s worth investing the time, and as a writer who works full time in another profession, I am inspired by the fact that Stevens spent his career as an insurance lawyer and wrote poetry on the side. You can find out more about him here. Stevens, Wallace. The Collected Poems of Wallace Stevens. New York: Vintage Books, a division of Random House, 1982. Originally published by Alfred A. Knopf, Inc. in 1954.